This is the round-up to the General Elections in 2016 in Uganda. Where we will see deflections like never before. There will be run from people going from wherever to Go-Forward and people leaving the parties after missing their spots to become Independent candidates in the polls. Deflections are norm and allowed, but there are something about timing and explaining it. Like if you’re been somewhere for long and is tarnished by the way the party leads, then it feels natural to leave. Which many of the big-men has done in Uganda for that reason we have FDC. They are an reaction to the ruling party NRM. UPC has had people leaving to NRM in the Past, like Hon. Amama Mbabazi was at certain time a piece of that puzzle. Dr. Kizza Besigye was a piece of NRM until the fallout. Hon. Amama Mbabazi went finally away; when he got kicked out and Dr. Ruhakana Rugunda his childhood friend took his place as the PM in Uganda. There many NRM losers all over the country who is deflecting to the Go-Forward Group and Amama Mbabazi. This proves that there is slot open for sore people and a reach for surge that hasn’t happen. Because for many NRM people Dr. Kizza Besigye and Gen. Mugisha Muntu haven’t had the power and spirit of the NRM party, that means that Amama Mbabazi has that or else he is promising to feed them. There is not easy to know what is what. Even FDC members and kind of high ranking members like Mathias Mpuunga the Walk to Work head honcho gone over to Go-Forward. The validation from JEEMA, DP, CP, UFA and PPP gives an edge to Go-Forward. But their powerbases is small and has been small. Even if all arguments are that Dr. Kizza Besigye has lost the last times against the ghost of all elections Yoweri Kaguta Museveni and National Resistance Movement. The President has won everything since gripping power with the civil war to tore down UPC and Okello’s and all the other former short term presidents. 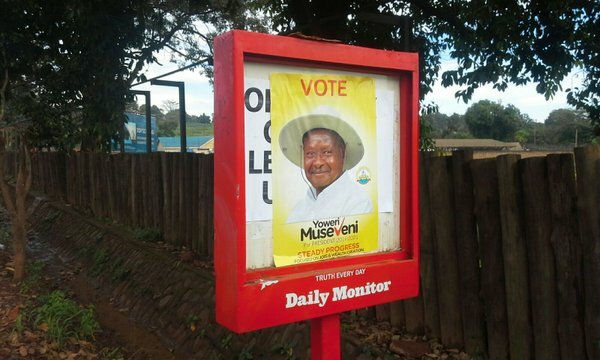 Museveni has secured first a few elections as sole party and as a sole candidate. Sole Candidacy is his wish. I am sure that if he could run as he please then this election in 2016 it wouldn’t be any FDC, TDA and him! Go-Forward and the allegiance that is with him, gives him an edge. That is even though FDC has the long standing force of the opposition in the country. So here we are, people are crying foul. I have cried foul over Gilbert Bukenya, but that is because was a hot-minute on the outside of the Movement throwing shades at the President and calling him a problem. And seconds later when he offers a position in the NRM CEC he crawls back. The president might not offer him a place in the NRM CEC, but I am sure NRM has promised a nice position to Alhaji Nasser Ntege Ssebagala for his allegiance. But there aren’t just the big men who switch allegiance; it’s also on the grassroots-level where members are burning their membership card and switching alliance to another party. That should be worrying for NRM to see that on the Social Media and how their cards are blatantly being discarded like worthless mud. Though I am sure the result of the election is already picked by the Electoral Commission and the lack of electoral reform to gain population support and not support by the NRM-Regime, it will surely be set for yet another term for Yoweri Kaguta Museveni. Even if this is surely the end-game we can still see that the movement of people is changing. The sadness is to see that the movement between opposition parties making sour feelings between them; especially with the Second Round K.O. and stop of the consultation between the FDC and Go-Forward. I expected it to fall to pieces by how it ran into sand after the smaller parties of the TDA endorsing Amama Mbabazi over Dr. Kizza Besigye. The Movement and Museveni will do whatever to destabilize the other parties, rule and conquer. Therefore he had to say at the NRM CEC at Kololo Independence Ground that nobody in the party shouldn’t say that somebody is “Pro-Mbabazi” or “Pro-FDC” because the party is the ones that matters. That the NRM-Youtb Brigade/League leaders of Omodo-Omodo and Adam Ruzindana has officially not endorsed should be sad view for the NRM since they even had been rounded up in August to change their stance from this to support Mzee. Seems like it didn’t work even after being under siege by the NRM-Regime! There are different ways and easy jumping ships so often between parties proves that it can buy and it isn’t ideological reasons between it. That is what Go-Forward camp should ask them since they get deflectors from all over the map in short space of time. Will it be a sand-castle that the wave from the sea will brush away or can it be sustained? FDC has a situation and is used to be in the war-zone through the elections and being in trouble with police for trying to be a political party. The Go-Forward is doing everything for the first time, though Hon. Amama Mbabazi has been in election, but then in friendly territory in those times under the wings of the Mzee. The deflections is a natural thing, especially the ones who has lost their Flag-Bearer positions in the NRM is surely natural to try to get other ways into the Parliament and Constituencies again, though their stripes should be wacked because their couldn’t handle to lose for somebody else, even if the primaries we’re filled with malfunctions, pre-ticket ballots and general rigging. The FDC can that has decided to move on; can have done that for ideological reasons. If so then it’s should be seen as okay. Secondly if it is a tactical move instead of ideological move; then we have more to question the person that goes from a set off fixed situations with a party actually functioning, though there was some Electoral malfunctions some of their internal election. “In advancing this objective, CCEDU sought accreditation and deployed a technical team of eight to observe the Forum for Democratic Change (FDC) Elections held at a Special Delegates’ Conference on 12th June 2015 at the UMA main exhibition Hall, Lugogo, Kampala” (…)”Claims of vote buying were received by the observers. Allegedly, some camps were sending delegates mobile money in a bid to secure their votes. These claims were not verified. A pledge by one of the candidates vying for the position of Secretary General to supply smart phones to districts secretaries general and another candidate for the post of Treasury General to contribute Shs10m to a party Savings and Credit Society were interpreted by some as an effort to induce support” (…)”It was noted that delegates did not heed the call by the Electoral Commission that no campaigns should take place during polling time. Unfortunately, there were no measures to curb this vice” (CCEDU, 2015). So the surety that the ones leaving from the other parties like FDC/DP/UPC/PPP/UFA or Independents to the NRM has to promised something because they know what they have done and how they have done it to get it. Independents can do as they please and show allegiance or alliances as they please. Nothing can be taken for granted by any parties they can be bought or ordered, even if they want to be by-partisan. That is justified, though it is a favour to them all if they know where they have them. Independents can either fill their pockets or actually stand for something. So if their flag their place and who honours who. Because they can became pawns on the chess set and easy capped if they don’t take a stand. Though we will see more movement and deflections we can see the difference between ideology and tactical movement from the politicians. There will be some sour feelings and hurt. There will be some sees it as betrayal. The betrayal is when it so not justified by their recent actions and sudden move to do it for self-serving instead loyalty to party. Independents can move as they please, but the ones moving from any other parties can be questioned, even if it reasonable. Prof. Gilbert Bukenya kissed the ring of President Museveni. That is the truth! Deflections from the parties will happen. From the FDC and NRM, from all the other parties as well for different reasons and if UPC will be split in two it wouldn’t surprise anybody with the different of opinion between Jimmy Akena and Olara Otunnu. That could easily be two separate organizations. And leave to more deflections. Especially if they continue as today to address themselves as presidents of the UPC! There will be deflections from there as well. Deflections from the parties occur neither you like it or not, because that is part of the political game and life. There will be more leaving any party into the General Election and move for possible gain. The men and woman who does that has to address themselves and argue for their move. As the men and woman who is left behind has to respect it, depending on the motive of it all. Even if the motive is only a place in their party-organizational structure or get a free place in higher organ; instead of doing the work as politician to gain the constituencies trust.